I thought I’d be posting news about Red Dead Revolution 2 here this week, but since Rockstar didn’t bother announcing a PC version, instead we’ll roll with Diablo 4 rumors,Stellaris getting a big story expansion, Watch Dogs 2 needing two extra weeks to hit PC, and King’s Quest finally drawing to a close. Definitely no Nintendo Switch or Red Dead news here. This is your PC gaming news for October 17 through 21. In a now-familiar move for anyone who follows Ubisoft’s November releases, Watch Dogs 2 has been delayed on PC—but only for two weeks! Now it’ll launch November 29 instead of day-and-date with consoles on November 15. Good news for people who don’t want a repeat of Assassin’s Creed: Unity, bad news for people who hoped to play it over Thanksgiving. And I mean, if the game is bad at least the console reviews will warn you. Speaking of, the “Let’s Completely Overhaul This Game” 1.4 patch for The Division goes live October 25. Maybe some of you are still playing The Division? Maybe? It’s true: EA really is going to dump Titanfall 2 a week after Battlefield 1 and a week beforeCall of Duty. That seems crazy! But here’s one final trailer, barring a last-minute delay to…you know, like March or something. We’re two or three weeks out from the start of BlizzCon 2016 Edition, and that means the rumors are starting to fly fast and thick out here. 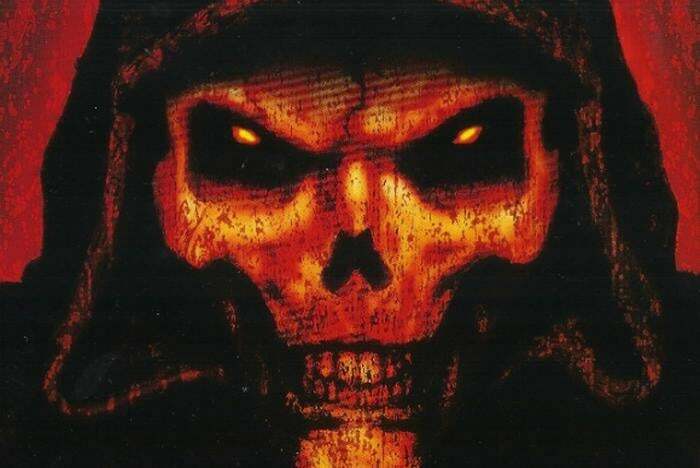 The biggest story: A potential Diablo 4announcement, the root of which can be traced back to a BlizzCon promo bag with a four-sided die, or “D4.” Here’s Rhykker with a longer explanation, or you can just wait until BlizzCon kicks off on November 4 to find out more. While not quite as drawn out as the episodic structure of say, Kentucky Route Zero, at almost a year-and-a-half since the first episode of the new King’s Quest it’s been…well, basically forever since we started this journey. Some incentive to go back, though: The fifth and final chapter releases on October 25. And I count myself among those who need to return to the series—I haven’t played since the first chapter. Time to catch up. Rusty Lake Hotel is one of my favorite “I’ll give this game a try” games of 2016, so word that there’s already a sequel and that it released this week? Excellent. Here’s a trailer forRusty Lake: Roots. The Paradox DLC Machine is hard at work. Stellaris received its first story-centric expansion this week, subtitled Leviathans, which fleshes out the mid-game. There’s a trailer below. But more important: The free 1.3 Heinlein patch is also out now, bringing with it some system and UI tweaks. Quality-of-life stuff. Other strategy news this week: Civilization VI launches today. Here’s a launch trailer, featuring a lady with scary-big eyeballs. “We traced his bloodline back 500 years…to the Assassin’s Creed.” That’s all I have to say about this trailer for the upcoming movie. Fingers crossed that line was cobbled together specifically for the trailer, because…yeah. A few weeks ago someone modded an exploding Note 7 into Grand Theft Auto V. Samsung was so honored, they tried to get the video taken down with a DMCA claim. YouTube denied their request. Here’s the video again, for posterity. Normally I’d end on that ridiculous Samsung news again, but this week I’d like to take a serious moment and lament the closing down of United Front, the studio that madeSleeping Dogs. Apparently United Front’s latest game Smash + Grab wasn’t enough to save them (despite a free weekend just this past week), and the studio has reportedly closed down. Refunds for Smash + Grab are available through Steam. It’s one hell of a sad end to a talented studio. Best of luck to those affected.